techniques, with a finish that will last for generations. 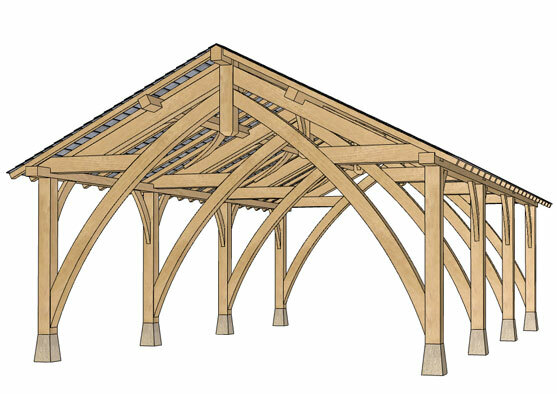 In a world of mass produced building components, how wonderful is it to have a building that is hand crafted from oak trees and held together with wooden tree nails. Talk about 'bringing the outside in'! Me and my 'chaps' have over 20 years experience in oak framing which means we can craft you just about anything you want - traditional or contemporary, large or small and we'll make it with care and consideration. Whether you're planning a breathtaking bungalow, an exciting extension, or the perfect porch you can be confident we can build you a beautiful structure that you'll just love. Continue reading "Shopping for Inspiration…….."
Continue reading "Oak Trees and Sustainability"
Continue reading "Our New Website"